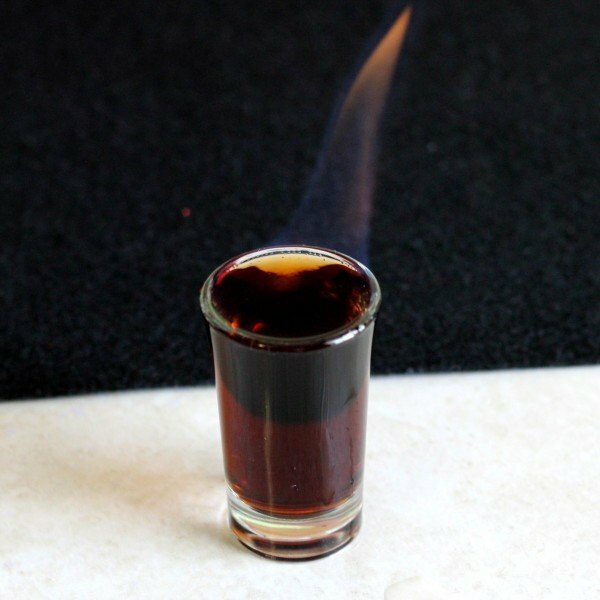 The Eliminator is your basic one-ounce shot comprised of three different liquors – well, four, if you count the rum that burns off when you light it. Who doesn’t love a cocktail you can set on fire, right? Well, probably the many people who sued Bacardi until eventually Bacardi stopped selling its 151 product in the US. And you can complain all you want about people who sue, but let’s face it: drunk people and fire are a really bad mix. Setting cocktails on fire should be done with the utmost caution, and you should be sure you know what you’re doing. Because no cocktail actually needs to be set on fire. It doesn’t change the flavor. You can always just make the drink, not set it on fire, and drink it. It’s safer. It’s also much easier. Lighting cocktails on fire is a hard thing to do. Every time I do it, which is only for photographs for you guys, it takes me a few times to get it right. If you insist on setting your cocktails on fire, I suggest you do it for the first round of the evening, while you’re still sober, and then move on to saner things. 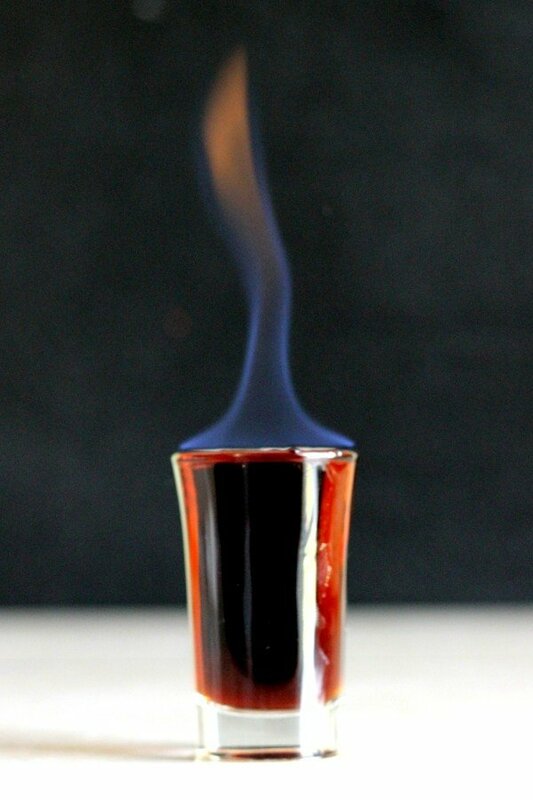 And always remind your guests to blow out the flame before drinking. Pour the Jägermeister into your shot glass, followed by the Jack Daniels and then the tequila. Spoon the rum on top and light it on fire to serve.